Dear Friends- Please join us on Monday, June 24, 2019, for the 9th Annual Kaylee Sullivan Memorial Golf tournament, as we celebrate and remember Kaylee. 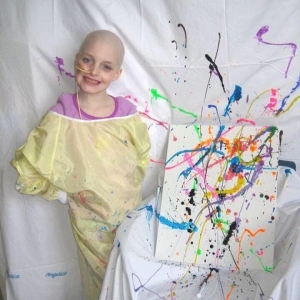 Kaylee was diagnosed with Acute Myeloid Leukemia (AML) in November 2010 and after a brave battle succumbed to her illness in April 2011. She was only 7 years old. All proceeds from this event will benefit Cops for Kids with Cancer and the Oncology/Bone Marrow Transplant Units at Boston Children’s Hospital. The tournament will be held at Crosswinds Golf Club of Plymouth. This includes 18 holes of golf, range balls, golf bag valet service, lunch ticket and buffet dinner at the clubhouse. At the close of the tournament, prizes will be awarded for 1st Place, Longest Drive and Closest to the Pin. There will also be Raffle prizes. • donate a raffle item, a gift basket, sporting events tickets, etc. • cash or gift card donation. No donation is too small!!! A copy of our endorsement letter is available on request.